Fun Safari Animals Facts for Kids! The highlight of a family vacation to South Africa is undoubtedly a game drive through a safari! As you are planning your trip to with your children, you can tell them these fun facts about their favorite safari animals! A lion’s roar can be hear up to five miles away! At 114 decibels, it is one of the loudest noises made by an animal. (Source: Scientific American). See and hear lions on DSA Vacations Best Value Botswana tour. Baby sharks are called pups and a mother shark can have anywhere between 1 and 100 pups at a time. (Source: Kidzone). A great white shark encounter is included on our Rhino and Shark Adventure tour. Elephants use their ears to keep themselves cool and an adult elephant’s ear is 42″ in diameter – that’s bigger than most three year old children! 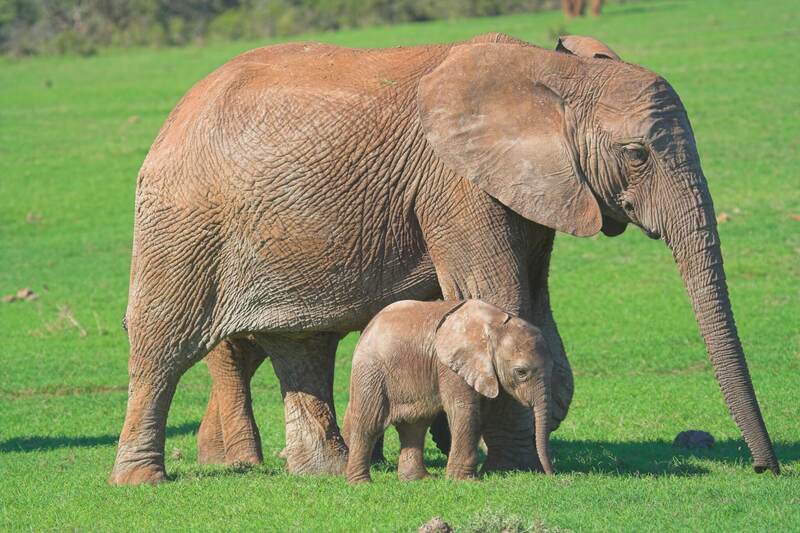 (Source: WikiAnswers) See elephants on our Cape Town and Kruger Combo vacation. The longest rhinoceros tusk ever discovered was 59 inches long and belonged to a white rhino. (Source: International Rhino Foundation). On a game drive on our Rhino and Shark Adventure tour you might even get to see a rhinoceros!